The coins and the banknotes are located in GREECE !!!!!!!!!!!!!!!!!!!!!!!!! 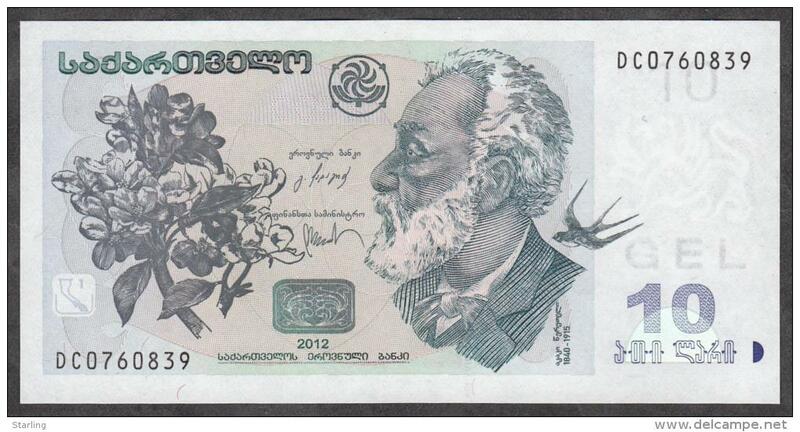 - Year: 2012 - Condition: UNC - Face value: 10 Lari The number on the banknotes may be different from the picture.If the payment will be by PayPal, add 5% + 0,35 € to the total sum. The coins and the banknotes are located in GREECE !!!!!!!!!!!!!!!!!!!!!!!!! 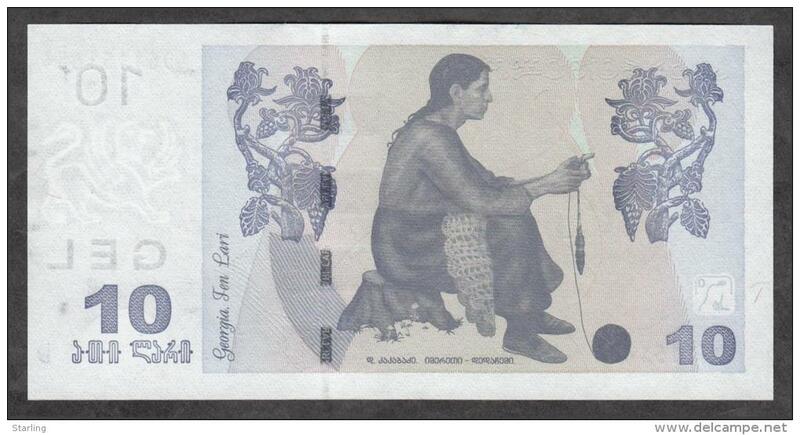 The number on the banknotes may be different from the picture. If the payment will be by PayPal, add 5% + 0,35 € to the total sum. If you want to pay CASH – contact me first!!!!!!!!!! The Post of Georgia is NOT shipping REGISTERE letters to P.O. Box !!! Bid on multiple items and save on postage! You can write in Russian. Вы можете обращаться на русском. GEORGIA P39 10.000 LARIS 1993 UNC. Georgia 5 Lari 2011 UNC ! ! ! GEORGIE GEORGIA P30 1000 LARI 1993 UNC.